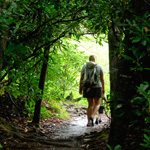 From the Appalachian Trail to the Blue Ridge Parkway, hiking trails abound in the Blowing Rock area. There is even a waterfall trail adjacent to downtown. 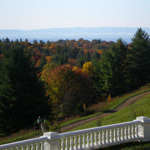 Click the link for details, trail maps, and great links to official sites for trail networks. 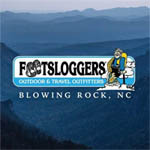 Footsloggers Outdoors Established 1971. Open year-round. Full line of hiking boots; newly expanded selection of women's footwear; camping gear and accessories; dog accessories; sunglasses; clothing for outdoor activities and travel. We will keep you cool during the summer and warm during the winter! 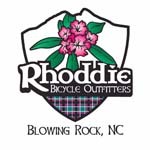 Rhoddie Bicycle Outfitters is a full service bicycle shop. We offer sales, rentals, guide services, repairs, and fitting services. We provide all the gear necessary to fully enjoy the cycling opportunities this region has to offer. We have bikes and gear for road, mountain, gravel, pathway, and kids bicycling. Rhoddie also offers complimentary ride maps and route planning at our map kiosk, located in the shop. Blowing Rock is the perfect hub for a Blue Ridge cycling adventure and we are here to provide everything needed to fully enjoy the ride. Whitewater rafting, caving, hiking, canoeing, rentals, kayaking, guided day trips, and paddling school with ACA certified instructors. We offer all adventures with the option of an eco-ed twist! 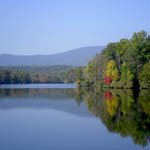 Guides are trained by the state of NC as environmental educators. This is an owner-operated business dedicated to providing quality recreational activities including top-of-the-line equipment, organic lunches and free photos. Outdoor Climbing Tower in downtown Boone. 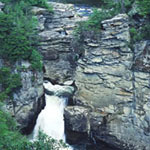 Half- and Full day Rock Climbing trips with experienced, PCIA certified guides. Fun for families and all ages! No experience necessary! 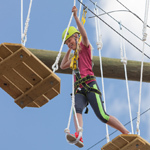 The Discovery Course in Blowing Rock is a High Ropes/Challenge Course with exciting Zipline and Giant Swing exits! 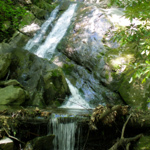 Guided Caving trips in TN and Summer Adventure Day Camps.